Underestimating the value of certain jobs is something common, mainly in the not-so-popular fields of work. The translation industry is not an exception. Many people still believe that some language classes at secondary school are enough to consider oneself bilingual and undertake the endeavor of translating. Others think that Google Translate can do the job. We can warn them about the perils of using just a machine and explain to them the reasons why a professional translator ̶ with years of university education and experience ̶ should be in charge of this task, but, if they still want to look down upon translation as a profession and rely on Automated Translation, chances are they will regret. Some of these consequences may be serious as they imply political and legal matters, while others are simply funny. Careless use of automatic translation is so widespread that we have come up with a top 5 compilation of the latest public mistakes made by a machine and not corrected in time. 1. International singer Ariana Grande’s tattoo: at the end of January, the pop singer wanted to record her successful single called “7 rings” on her skin. Thus, she had a tattoo on her palm. It was intended to say “7 rings” in Japanese. However, after posting the picture of her tattoo, her fans told her that there was a spelling mistake and that it actually said “small barbecue grill”. Fortunately, she took it with humor and made a joke about the barbecue. As a lesson, before tattooing, always run a spell check or ask a native speaker, if possible. 2. 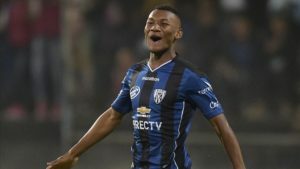 Ecuadorian football player Bryan Cabezas: the failure of his arrival to Independiente, an Argentine football team, has become widely known not only due to the fans’ disappointment but also due to the great translation mistake: Bryan Heads. This sportsman was about to sign a contract to start playing in this Argentinian team, but his surname was translated into English on his labor contract. After this huge mistake, negotiations came to an end, and Bryan stayed in Italy. 3. 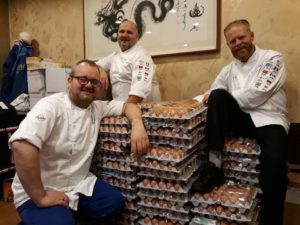 Olympic eggs: for the 2018 Winter Olympics in South Korea, the chefs of the Norwegian team wanted to order 1,500 eggs. However, when the delivery arrived, there seemed to be no end: they received 15,000 eggs. Some sources say that Google Translate was used to place this order; others, that there was a mistake in the number punctuation. Chefs were just happy to have the opportunity of returning 13,500 eggs. For sure they had egg white omelets, boiled, fried and scrambled eggs. 4. Speaking of deliveries, there is a very funny translation at the museum of the Sporting Gijon club. The text on the museum’s walls, which reads “Entrega, valor y compromiso”, was translated as “Delivery, value and commitment”. This translation mistake became quite popular on social media after a picture was posted on Twitter and the mistake was indicated by a user. 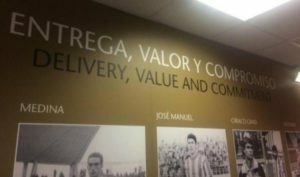 The problem here is that “delivery” is the literal translation of “entrega”, the first entry in Google Translate, and it does not make sense in this context (followed by the words “value” and “commitment”). It should have been better to write “dedication” or “determination”. Maybe, if the translation had been checked by a language professional, this mistake could have been avoided. 5. The automobile industry is not an exception. Companies are supposed to consider translation an investment both for selling but also for clients’ satisfaction. 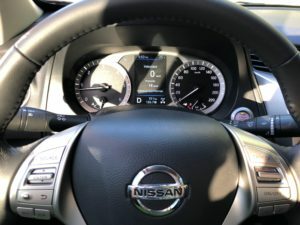 If you buy a brand new Nissan Frontier in Argentina, you’ll be able to read “Empuje larga: Reponga” on the board. Puzzled by this nonsense, we wondered what they meant by this phrase to find out it was a literal translation of “Press long: Reset” meaning you had to press and hold the button to reset the indicator to zero. Thus, this literal and wrong translation, not only hinders the user’s understanding of how to reset the indicator, but it also leaves the client with an unfavorable impression of the company. The wrong perception of the importance of professional translation can lead to using only a machine or someone who can speak two languages, which can result in embarrassing mistakes or missed opportunities. It is true that when time and money are limited, automatic translation can be helpful. However, it is of high importance that a professional experienced translator participates in the translation process. At Baquero Translations, we take our profession seriously and do it with passion. We use machine translation, we post-edit, we translate, we edit, we proofread, we carry out QAs, we reformat, etc. to ensure excellence in the final product. When Argentineans thought that we were sailing in calm waters, our ship was struck once again in May by another financial crisis. But the truth is that we are used to sailing in turbulent waters and I have the feeling we actually enjoy the adrenaline and enjoy the challenge of keeping our ship sailing in the right direction. 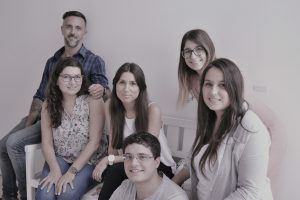 Baquero Translations has been able to steadily grow its revenue by 25% yearly since 2015 thanks to its crew of experts. 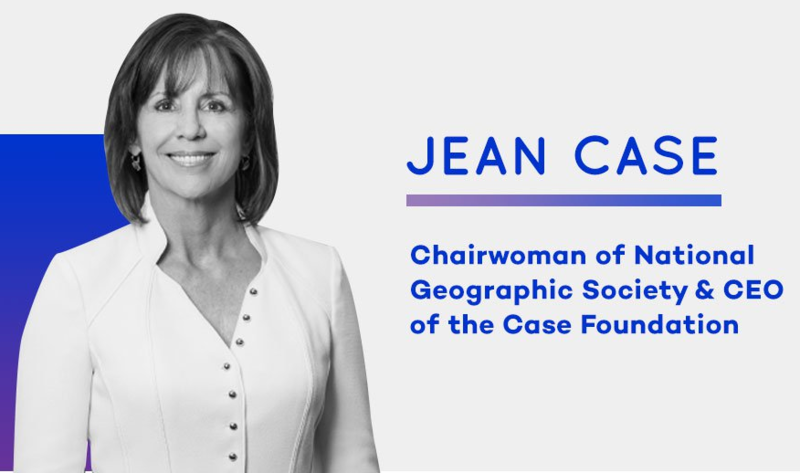 In 2018 we set sails to continue to invest in our company and expand our business, from technological advances and staffing to marketing activities. More growth means more work and, in order to bear with it, we needed to acquire new technology and onboard new members to our crew to facilitate and streamline certain processes. We consolidated the use of our PMS, Gespoint, that helps us easily and timely track projects, invoice and issue payments, as well as generating company performance reports. We incorporated Machine Translation and Post-Editing into our production process in order to meet the demands of our clients and the needs of the market. We hired a dedicated QA Manager, Diego Mengo, to make sure our products meet our client’s expectations. In addition, we hired a new Project Manager, Andrea Chetti, to help us handle the increase in volume. Our Project Management Outsourcing Service team almost doubled this year, adding 4 new members and expecting to hire other 3 members in the next few months. Away from cutting costs, our marketing and sales activities in 2018 continued to rise. In March, we attended and sponsored the GALA Conference in Boston, one of the most important translation-industry conferences, we attended the Game Developers Conference in San Francisco, where we expanded our horizon into the game-localization industry, and in May we attended ELIA ND Focus networking days for executives in Catania, Sicily. Baquero Translations has also hired Larry Salas and Doris Johnson as part of its international sales efforts. While we sail in these stormy waters of the second semester, we will continue to have our sails high in our masts with more trainings, strengthening our relationships with our clients and colleagues, adding more services to our portfolio, partnerships and academic research.